Recently hackers from Russia have found themselves in the spotlight: they are being accused of intervening in the U.S. presidential elections, hacking the OSCE server and other crimes. 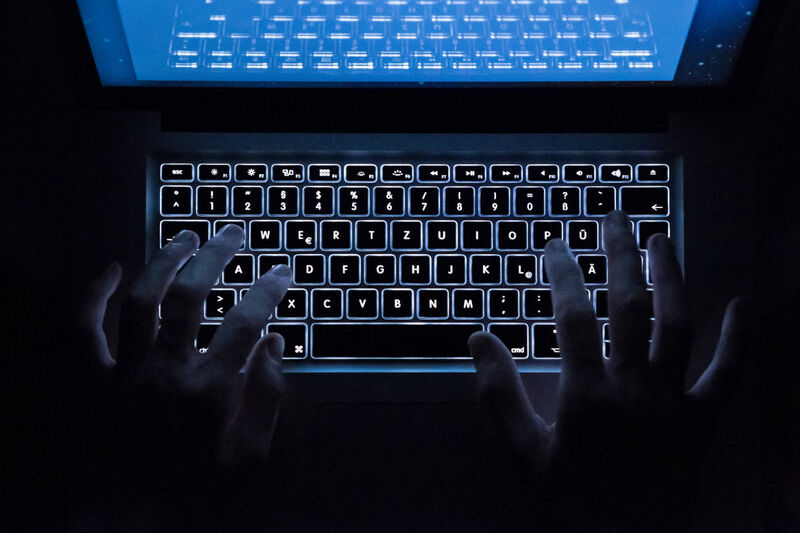 Recently hackers from Russia have found themselves in the spotlight: they are being accused of intervening in the U.S. presidential elections, hacking the OSCE server and other crimes. RBTH presents the stories of the most notorious Russian cyber crooks. In 1994, at the dawn of the Internet age, Vladimir Levin, an employee at a modest commercial firm, hacked the systems of the City Bank of America (Citibank), one of the giants of America's banking industry. The hacker, who used a standard laptop computer, was able to crack the security system of one of the world's most sophisticated payment systems. Levin acted cautiously, transferring relatively small sums from the accounts of large Citibank investor companies to accomplices all over the world. The amount stolen totalled $10,700,952. But the bank's electronic security system finally discovered traces of the hacks and the FBI issued an arrest warrant for Levin. Levin was arrested while in transit to a Moscow flight at a London airport and extradited for trial in the U.S. He cut a deal with prosecutors, was sentenced and served three years in prison. All but a reported $400,00 was returned to Citibank. To this day Levin remains a symbol of the mastery of Russian hackers. He was the first hacker to make global headlines. It was not money that 24-year-old graduate of Moscow State University economics department Igor Klopov stole - it was the financial data of American billionaires from Forbes 400 list. Breaking into the wealthy people's credit bases, Klopov and his accomplices made deals on their behalf on the Internet, which helped them make off with $1.5 million. The swindler got his comeuppance in 2007 when he tried posing as billionaire Charles Wyly. Klopov wrote a fake check to buy gold bars worth $7 million, but the con was uncovered when the gold dealer contacted the bank to verify that the check was authentic. The bank called Wyly who confirmed he had never signed the check. Investigators staged a sting operation to lure Klopov to New York to pick up the gold, where he was arrested. The hacker spent time in prison and Klopov, now works as a top security expert at New York-based cyber security firm CyberSec, a poacher turned gamekeeper. On August 14, 2014 subscribers to Russian Prime Minister Dmitry Medvedev's Twitter account were surprised to find his official account producing some very odd tweets. "I'm resigning. I'm ashamed of the government's actions. Sorry," wrote "Medvedev." Next he told '"Vova" (a nickname for Russian president Vladimir Putin) that the latter was "wrong" and wrote that in his retirement, as he had long dreamed of, he would become a freelance photographer. Obviously, the real Medvedev wrote none of this. For an hour hackers from the Anonymous International group, also known as "Shaltai-Boltai,"(which is Russian for "humpty dumpty") one of the most famous hacking groups in the world, had taken possession of the prime minister's Twitter feed. This was "Shaltai-Boltai's" most resonant, but not only, act. Since 2014 the group has been leaking the contents emails of Russian officials and politicians. In an interview with news portal Medusa, one of "International's" founders said the publication of correspondence between officials and their trolls is not the organization's key activity. Generally, it gathers information, including compromising evidence, on demand. According to its founders, "Shaltai-Boltai" publishes everything that cannot be sold for a good price. In December 2016 Yevgeny Bogachev, a native of Anapa, a Russian Black Sea coast resort some 900 miles south of Moscow, was added to the new U.S. sanctions list, accused of intervening in the American presidential elections. Bogachev is already accustomed to being the subject of attention by the U.S. government and special services. In February 2015, long before the elections, the FBI offered a $3 million bounty for information on his whereabouts. The incident that prompted the FBI to put so much money on Bogachev's head, was the creation of a completely new virus called GameOver Zeus, or GOZ. Bogachev and his group developed the most powerful Trojan in history - a virus capable of copying bank and credit card numbers, passwords and other sensitive financial information without leaving a trace. The FBI estimates GOZ netted its inventors more than $100 million. The FBI is still looking for Bogachev, but so far has no idea of his whereabouts, though one British newspaper reported that he was believed to have been living as recently as 2014 in his hometown of Anapa.